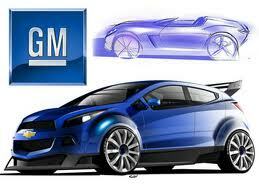 General Motors understands that the real-time web is filled with opportunities to service customers better. According to Digiday, GM is moving to bring their social media data in house so they can blend it with vehicle data, dealer feedback and service histories. Their goal is to offer better service to customers and fuel their product planners. “If we can plug social into all the other CRM data we have, then we have a full portfolio on the customer: If we know the VIN — if we know their name, if we know their Twitter handle, if they like to go to the dealership or they don’t like to go the dealership — it helps us treat them in a way that they want to treated.” said Rebecca Harris, GM's head of global social media strategy. Yes indeed. At Bitvore, we call this Intelligence Gathering for Business. Rather than treating social, news, and internal customer interactions as standalone silos, companies increasingly want to blend them together with internal data to find valuable insights within the streams of information. Mash in customer data, demographics, and government data sources to create situational awareness, understand emerging trends and needs, and have a 360 degree view of a customer, product or partner. The challenges aren't minor. Information is changing continuously, the number of publishers is vast, and most of the information is unstructured. We think we have the right solution to address this challenge. What do you think?